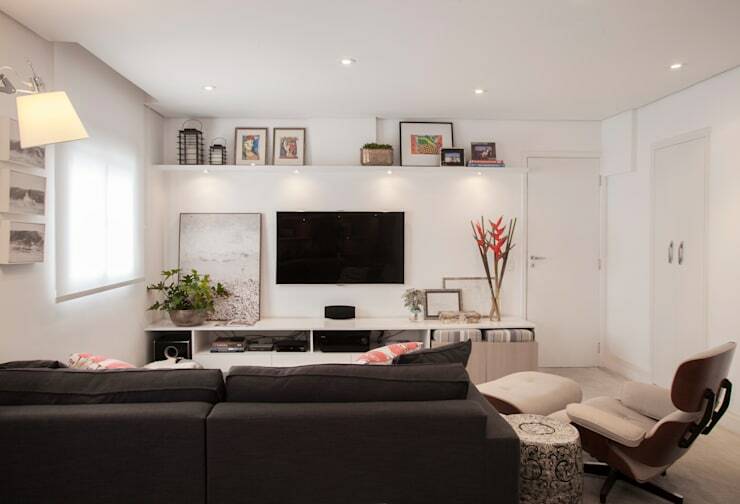 When thinking of a small home, most of us immediately go into pessimist mode and start focussing on the negative side, like cramped spaces and not enough room for all our beautiful furniture. However, a small house definitely also has some unique benefits, like less cleaning work and not having to pay that much to keep it warm, cool, and lit. 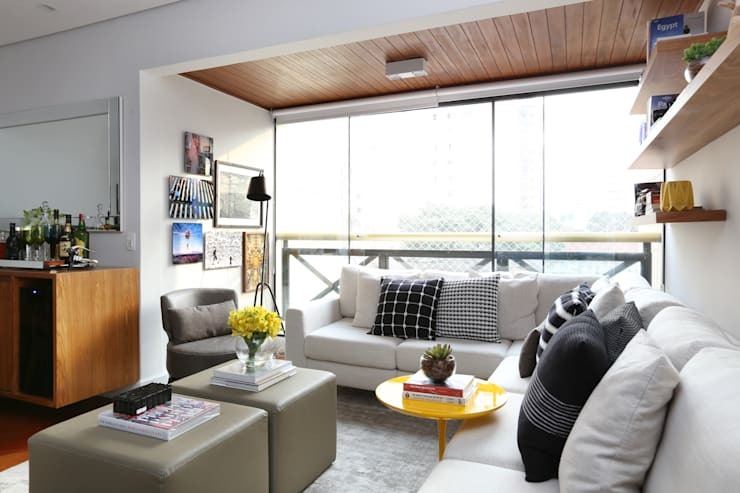 That brings us to the style factor: a small home can be turned into a cosy and welcoming interior so much easier than a large and spacious house – it just depends on your choice of décor and furniture. 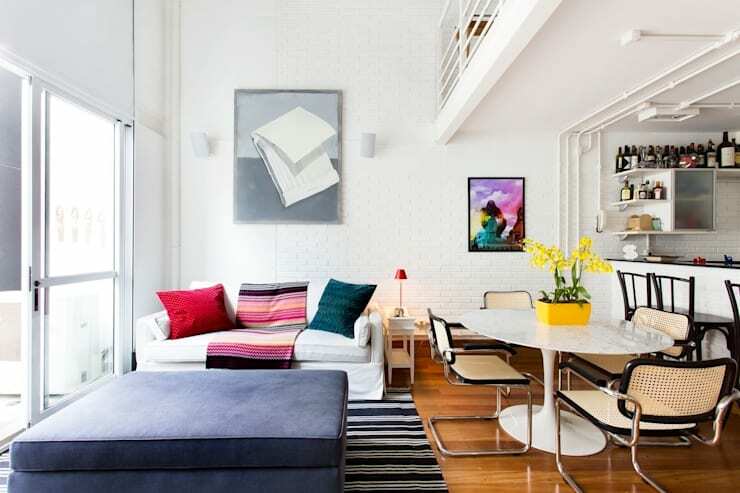 But if you’re not sure where to start, just scroll on to see 20 clever tricks on how to arrange your small living room and get just as much style and functional use as you would from a mansion-sized space. 1. 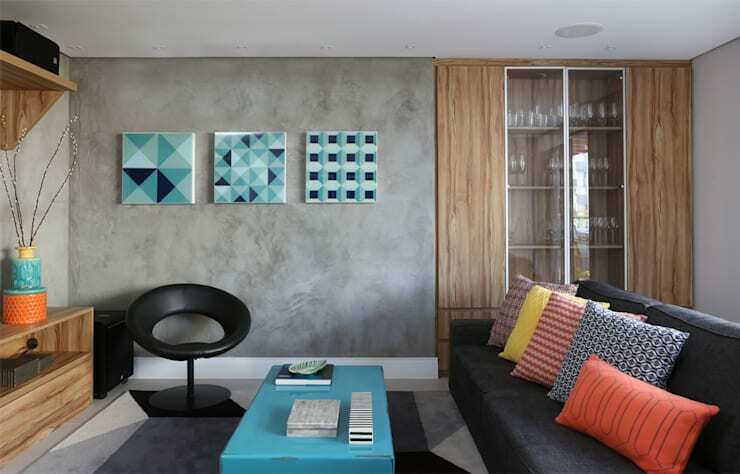 Mix concrete walls with wooden surfaces and light tones to create a distinctive elegance and relaxing ambience. 2. 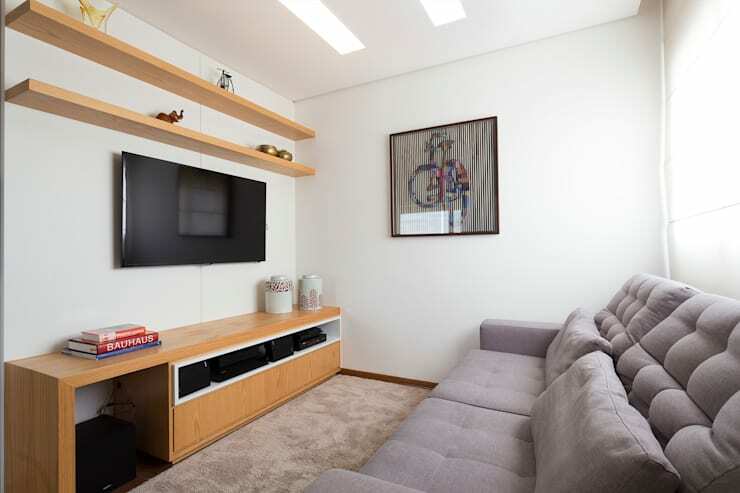 Mirrors create the illusion of more space, but they also reflect different colours and patterns in a room, which doubles up your space’s vitality. 3. 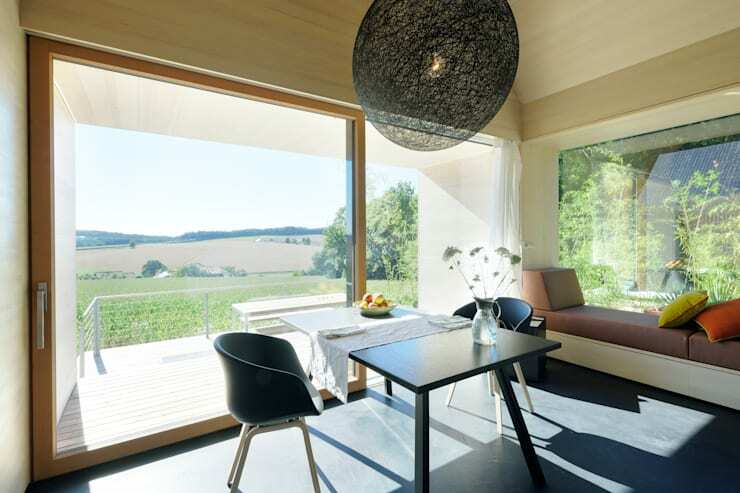 Combined with the glowing white interior, this window helps to open up this small living room most successfully. 4. 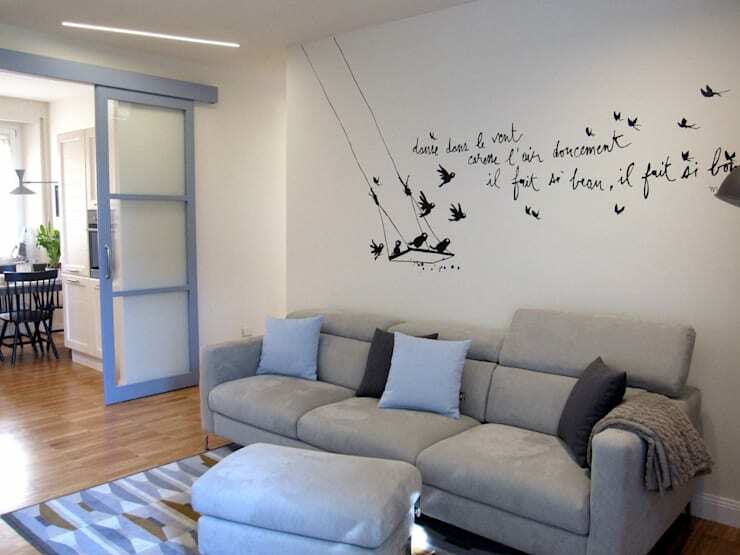 Simple wall decals can add the necessary style touches to any small space. 5. 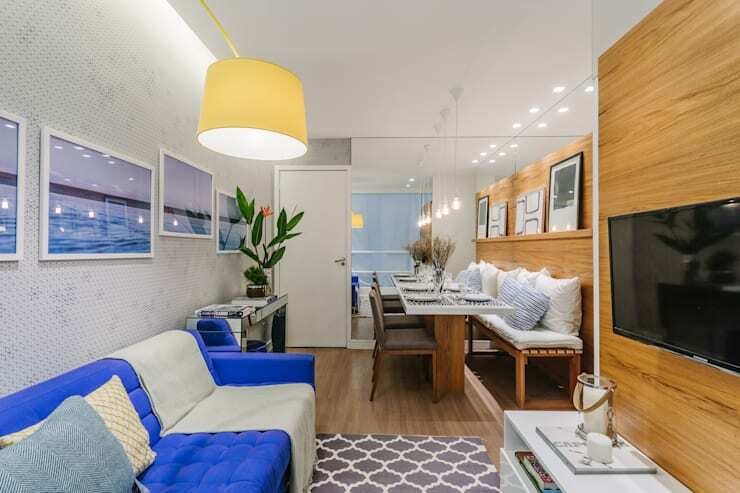 These textured walls and touches of green add an exceptionally organic look to this tiny living room. 6. 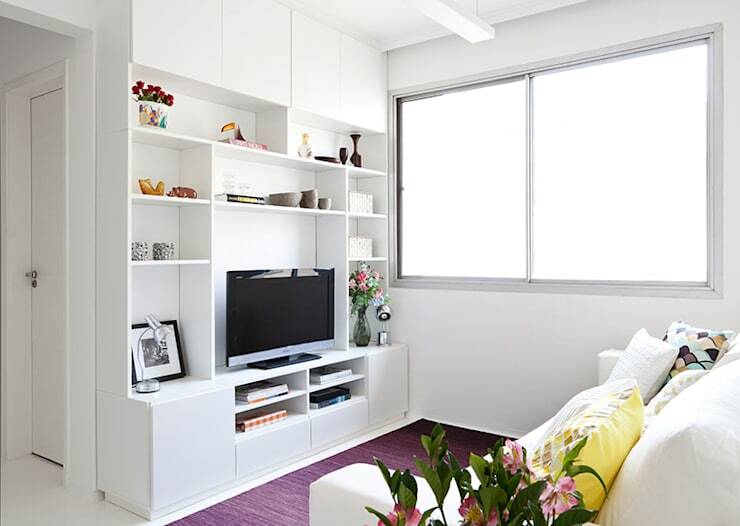 A generous dose of colour makes a room look more extensive, especially bright spots of yellow. 7. 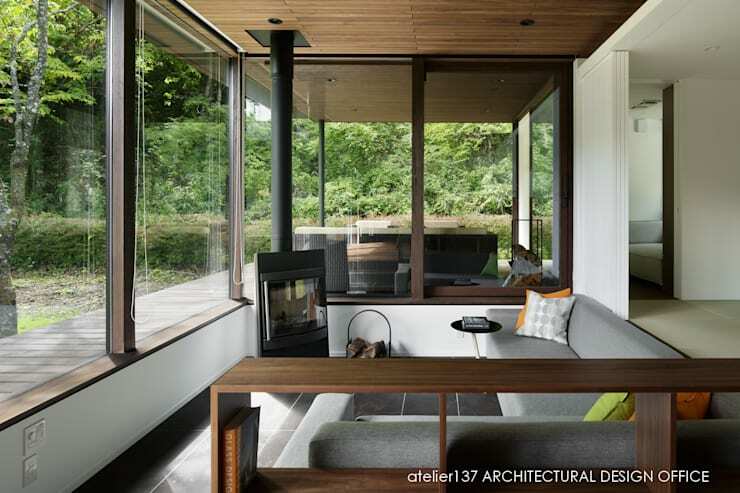 Double-duty furniture, like ottomans, removes the need for excess items, which frees up more floor space. 8. Replacing opaque walls with visible dividers helps to create an open line of communication between spaces. 9. 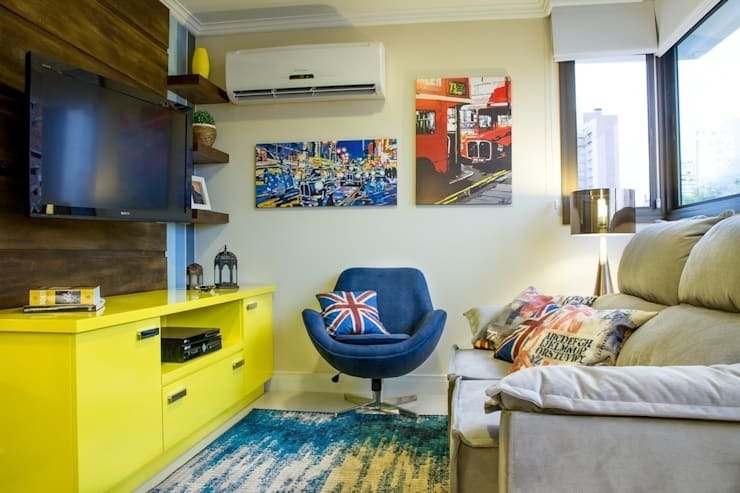 Vibrant colours like red and yellow add a unique combination of warmth and charm, which is just what a small space needs. 10. 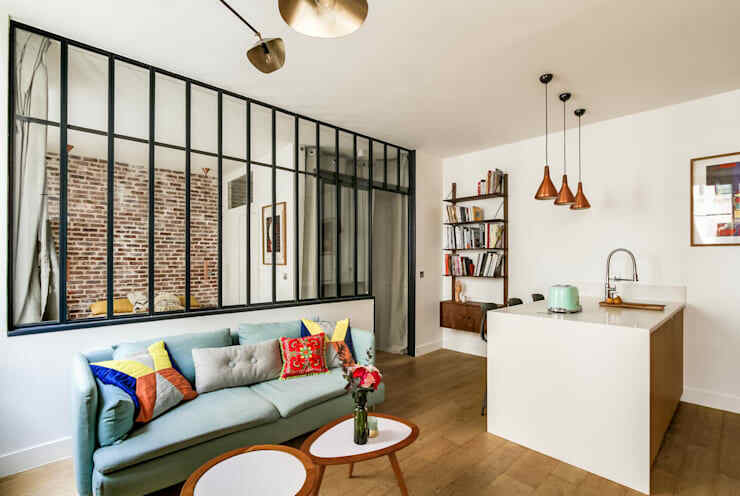 Glass partitions don’t cut back on any visual space and are perfect for retro-industrial style homes. 11. 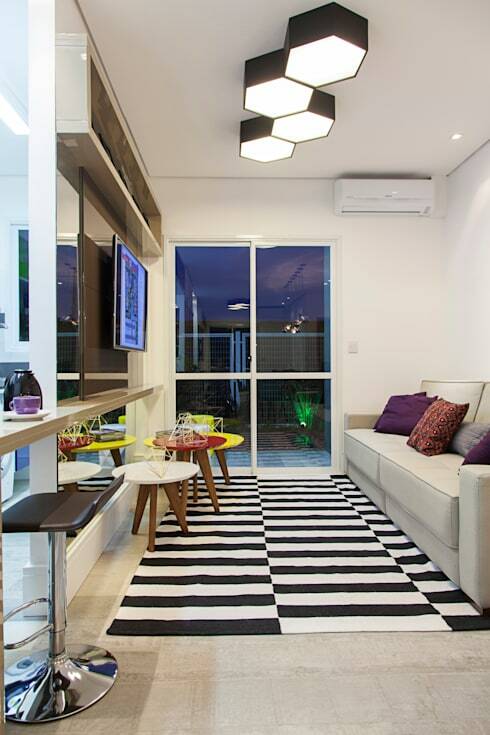 Carpeting and different flooring types effortlessly separate rooms without wasting space on walls. 12. 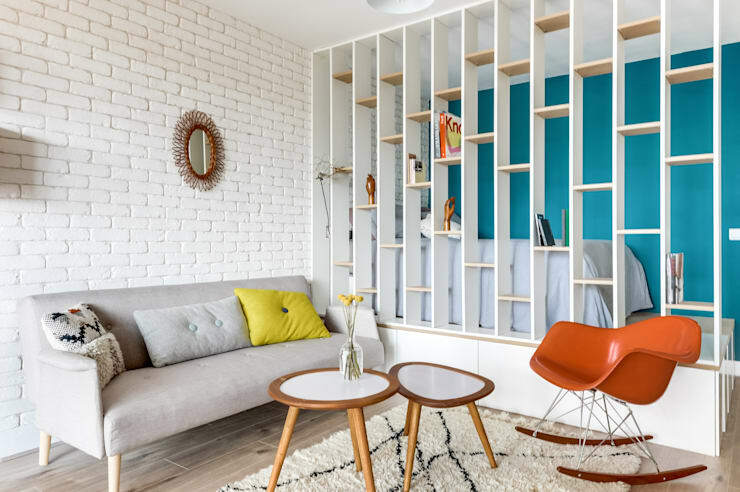 Use wall shelves to store a myriad of trinkets and conjure up more floor space in the rest of your living room. 13. Ingenious lighting such as this stretches the vertical boundaries of a room, making it look much taller. 14. 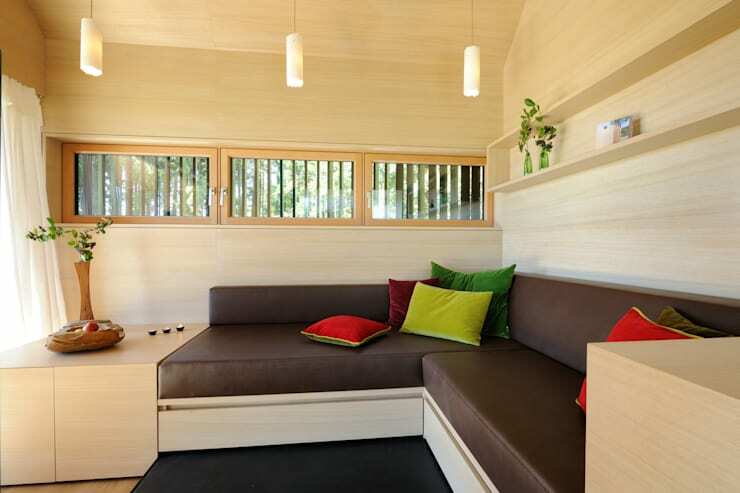 Surprise storage units, like benches, help you clear up space without throwing anything away. 15. Small spaces sometimes require loud accessories to make a statement. But don’t go overboard, as too many large pieces can look tacky. 16. 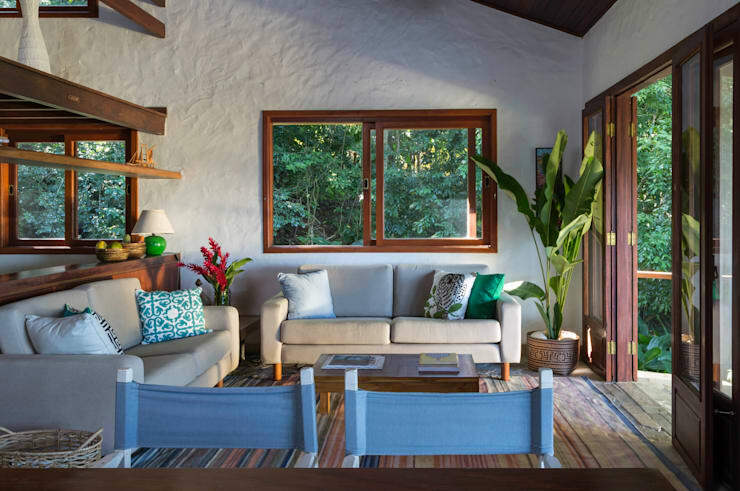 Glass doors help one room connect with the next, and beautifully open up your interiors to those lush outdoors. 17. 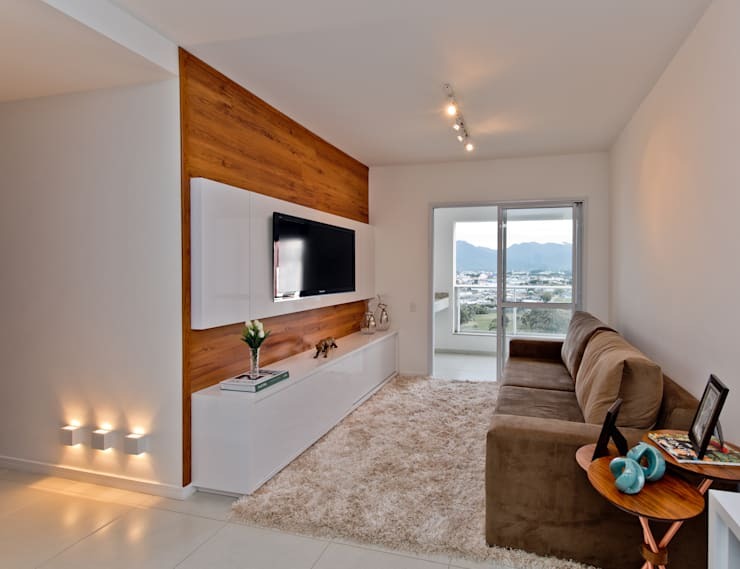 Basic furniture without ornate patterns helps to keep a room looking clean and open, visually expanding it. 18. Perfect lighting should illuminate a room without causing a glare. It helps to widen the room and highlight the walls. 19. 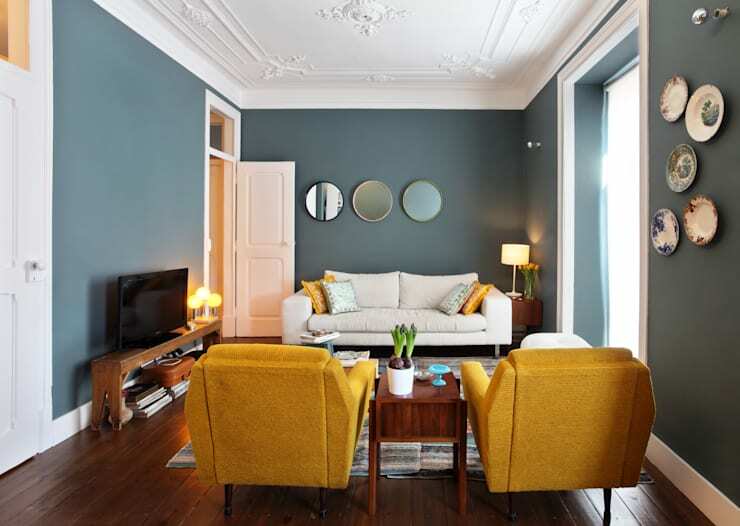 Contrasting colours (like turquoise and grey) can give a room a cheeky look without taking any visual space away. Just don’t opt for tones that are too dark. 20. Certain furniture pieces, like a kitchen bar, can extend across two rooms, blending them together and making them look far bigger than they really are. For more clever-thinking furniture, take a look at: Stylish carcass furniture for the living room.